Agile Myth: Agile Means No More Documentation and Planning? Current: Agile Myth: Agile Means No More Documentation and Planning? Answer: Although from a theoretical point of view, Scrum is quite similar to Agile, while it puts more focus on the Agile manifesto (values of Agile), and yet it has nothing to do with whether to the elimination of documentation and planning. Agile encourages “just enough” documentation as is required for the project. From a practical point of view, most of the teams using Agile or Scrum have greatly reduced the amount of documentation written to the level of “just enough” and “Just in time” manner. “Just enough” documentation helps to save time and cost during the project development process. Of course, serious, Scrum definitely has something to write. 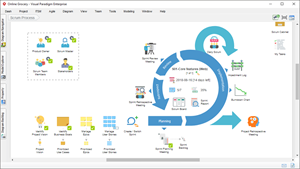 No matter how simplified, Product Backlog, Sprint Backlog, and Block List cannot be eliminated. 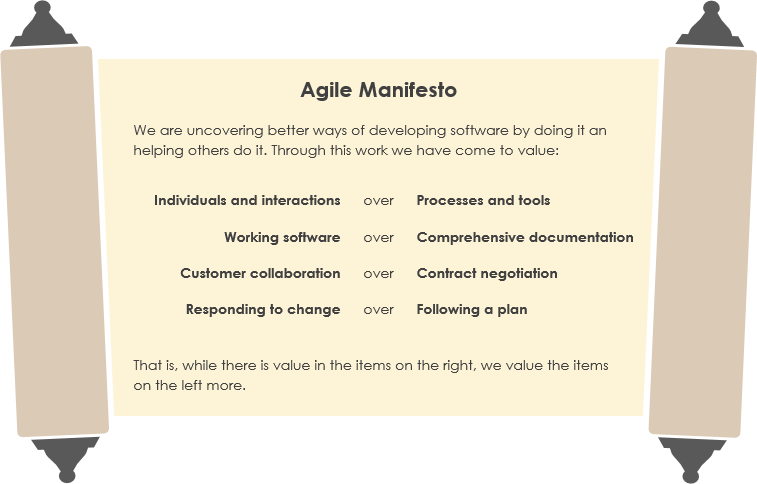 Agile manifesto emphasizes “responding to change” over “following a plan” which may cause another misconception about no planning required in Agile Method. So do not confuse NO planning with adaptive planning! Actually, laying out a strict plan before the initiation of a project may look organized, but is most likely to become a hindrance in the long run because plans tend to change (or even become obsolete) as the team begins to learn from feedback and iterations. Agile planning is not a rigid structure but a progressive one. Agile planning is based on the project features and is systematically organized into iterations with a time frame of one to two weeks. Agile believes in implementing a short plan efficiently rather than wasting efforts on preparing an elaborate plan that may not be successful in the end.